Famous worldwide as the birthplace of St. Francis, Assisi stands on the slopes of Mount Subasio, where it dominates the whole Umbra Valley. An important city dating from Roman times, as can be seen from the Temple of Minerva and the Roman Forum, it is distinguished by the Basilica dedicated to St. Francis. 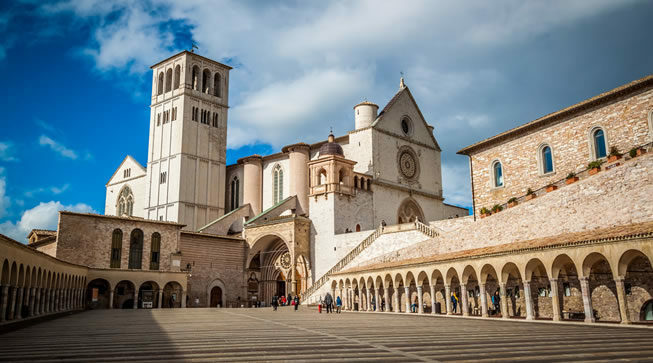 Work on the basilica complex began in 1228, in order to house the saint’s mortal remains and accommodate the huge number of visiting pilgrims who are still drawn to Assisi today inspired by their deep devotion to the St. Francis. Mirroring the complex of St. Francis, is the Basilica of St. Clare, dedicated to the founding member of the Order of the Clarisse. Built from horizontal layers of white and pink stone from Mount Subasio, it guards the saint’s body, and the crucifix from which Francis heard the words, “Go and repair my house which, as you see, is all in ruins”, which gave the saint strength and confirmed his vocation. 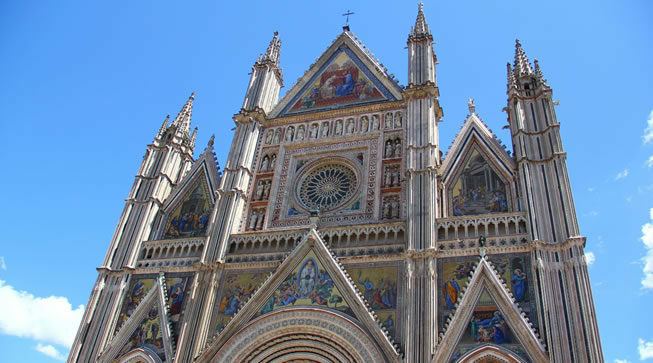 Nearby is the church of San Rufino, the Cathedral of Assisi, masterpiece of Romanesque architecture, in which Saints Francis and Clare were baptized. At the highest point of the city is Rocca Maggiore, rebuilt in the fourteenth century on the foundation of a pre-existing fortified citadel. Assisi, with its historic center, the Basilica of St. Francis and other Franciscan landmarks, is a UNESCO a World Heritage Site. Gubbio is built on a system of terraces extending along the slopes of Mount Ingino. Important pieces of Roman architecture can be found here, such as the Theatre, dating from the first century BC and the Mausoleum. The town’s Civic Museum is also home to seven bronze tablets, engraved between the third and second centuries BC, depicting religious ceremonies and testifying to the town’s ancient origins. 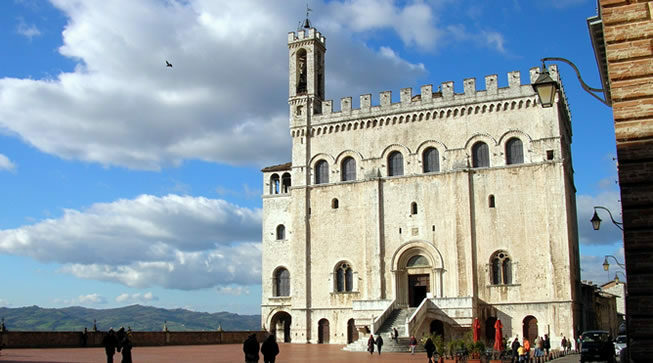 Life in Gubbio revolves around the medieval Piazza Grande, an overhanging terrace with a panoramic view, flanked by the fourteenth-century Palazzo dei Consoli, home to the Civic Museum, the Palazzo del Podesta dating from the same period, and the neoclassical Palazzo Ranghiasci- Brancaleoni. At the highest point of the town, we find the Palazzo del Capitolo dei Canonici, home to the Diocesan Museum, the Cathedral, started in the late twelfth century and dedicated to St. Giacomo and Mariano, and the Palazzo Ducale, now a museum, built between 1475 and 1480 on the orders of Federico da Montefeltro, according to a design by Francesco di Giorgio Martini. Belowe the town is the church of San Francesco, built in the mid-thirteenth century on the spot which marks the site on the residence of the Spadalonga, family who welcomed St. Francis after he renounced his father’s wealth. On 15 May each year, Gubbio celebrates its patron saint Ubaldo with the Corsa dei Ceri, a spectacular races during which three huge wooden structures (the “Ceri”) are carried through the streets, as far as the Basilica of St. Ubaldo. Known in ancient times as Tifernum, Città di Castello stretches along the upper Tiber valley. 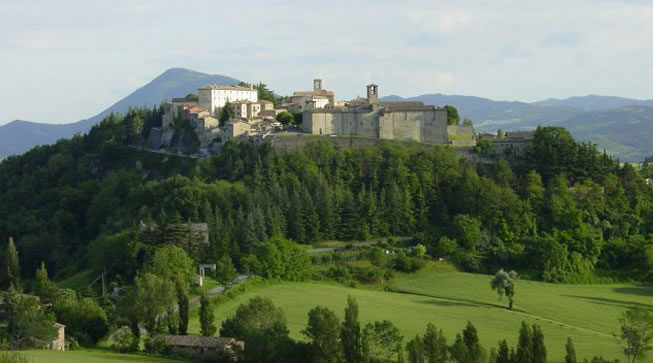 Its past is full of history: from its beginnings as an Umbrian settlement, it lived through Roman times, until it became annexed to the Kingdom of Italy under the prestigious name of the Vitelli family, which helped to establish the town’s great historical and artistic legacy. 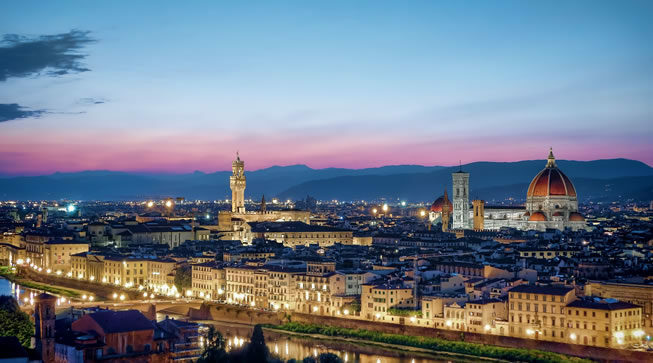 From Piazza Gabriotti in the centre, you can admire the Cathedral dedicated of Saints Florido and Amanzio, with its unfinished facade; the Cathedral Museum, which is home to works by Pinturicchio and Rosso Fiorentino and the fourteenth-century municipal palace. Palazzo Vitelli alla Cannoniera ,now accommodates the municipal art gallery .Città di Castello is also the native town of Alberto Burri, one of the most important artists of the modern times, who left most of his works here, on display to the public at two collections in Palazzo Albizzini and the Ex Tobacco Dryers building. 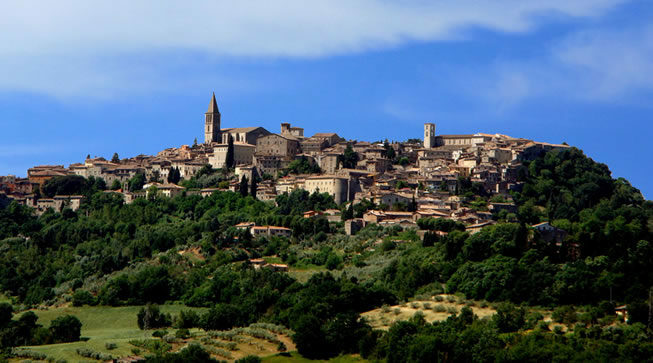 Montone is a small medieval village, perfectly preserved and unchanged during the centuries. Massive walls surrounding the village, narrow and winding streets, wind and alternate with wide staircases that run through the center, and what about the massive bell towers and the magnificent fortress of Arm, whose remains expertly restored, following the destruction accomplished by Pope Sixtus IV in 1478, they give us an idea of its importance. The Ram’s origins date back to the tenth century., Or at least it is only from this moment that you have some news of its existence. 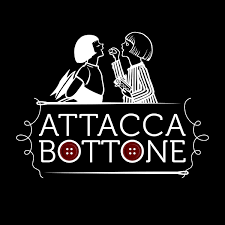 Events here follow the fate of alternates Fortebracci family and in the fifteenth century. The city shines over, thanks to the figure of Braccio da Montone, the great mercenary, known for his skills as a strategist and his ruthlessness policy. 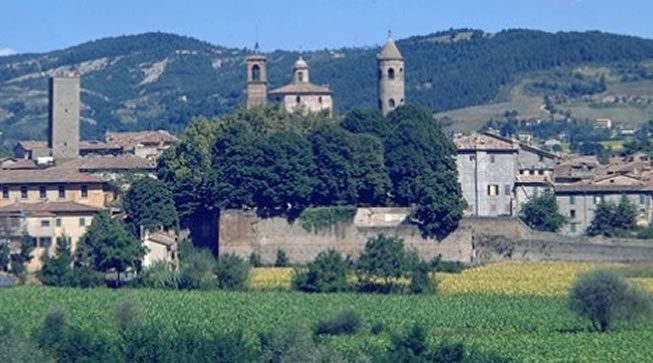 On the occasion of the feast of the “Donation of the Holy Thorn”, Ram, celebrates the ancient glories of the Fortebracci County: the districts in which is divided the country compete in a challenging tender, medieval representations and compete in archery, to win the Palio and elect its Castellana (Margherita Malatesta, wife of Count Carlo). 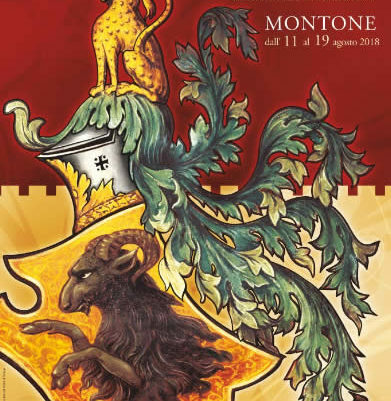 It is not easy to understand in words what this week means for Montonesi, the story breathes, the country becomes a natural theater, parochialism divides the districts and cheerfulness exudes in the taverns are always ready to offer a tasty hot dish and a good glass of wine. The regional capital, the first settlements date back to the ninth century BC, the city knows its greatest expansion in the Middle Ages. Art City. “August” city, its history, monuments and culture. The grandeur of the Etruscan and Roman remains. The refinement of the three lights of the Palazzo dei Priori. The suggestion of the underground city. And finally the sweetness of chocolate and the extraordinary sounds of jazz in July. The largest lake in Central Italy, fourth among Italian lakes. The area was inhabited since prehistoric times, as evidenced by the findings now preserved in the National Archaeological Museum of Umbria. 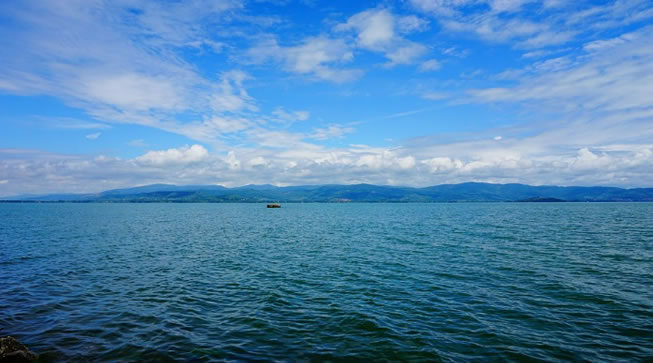 In 217 BC around the lake took place the Battle of Lake Trasimeno, the Carthaginian forces of Hannibal defeated the Roman legions of the consul Gaius Flaminius. Orvieto stands in a panoramic location above an imposing tufa stone crag. The town’s importance in Etruscan times is confirmed by the ruins of the Belvedere Temple and the Necropolis of the Crucifix, where valuable artefacts have been unearthed and are now kept in the local museum “Claudio Faina”. The Cathedral, a masterpiece of Gothic art, is dedicated to St. Mary of the Assumption. Behind the cathedral, testifying to the Church’s power in the town, are the three papal buildings, now museums. A world- famous landmark is the well of San Patrizio: 62 meters deep, it is a masterpiece of engineering, constructed by Antonio da Sangallo the Younger in the sixteenth- century to provide the town with water. The “Orvieto Underground” itinerary takes visitors on a tour of a vast labyrinth of galleries, cisterns, wells and cellars. 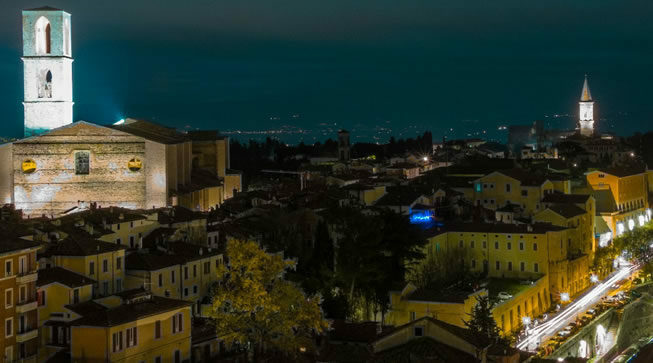 The historic centre of Todi lies on a high plan overlooking the middle of the Tiber Valley. The town’s political and religious hub is the splendid Piazza del Popolo, overlooked by he most famous historic buildings: the Cathedral of Santa Maria Assunta, the Palazzo dei Priori, the Palazzo del Podesta, one of the oldest municipal buildings in Italy, and the late thirteenth century Palazzo del Capitano del Popolo. Underneath the piazza, an evocative underground route leads to the Roman cisterns. Cortona dominates the entire Valdichiana, and a view that stretches to the horizon to flush out the peaks of Mount Amiata. Completely surrounded by walls that are an interesting element of the landscape and a monument of archaeological importance. Its medieval buildings and the alleys give the town an evocative atmosphere. The Basilica of Santa Margherita and the Franciscan sanctuary of Celle offer an itinerary of art and faith within walking distance from the historical center. 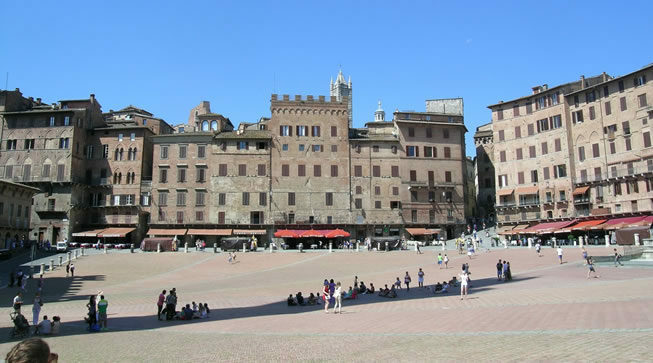 The city is universally known for its enormous historic, artistic, landscape and for its substantial unity of style medieval urban furnishing, as well as for its famous Palio. In the town the seat of the Banca Monte dei Paschi di Siena, founded in 1472 and thus the oldest bank in business as well as the longest in the world. 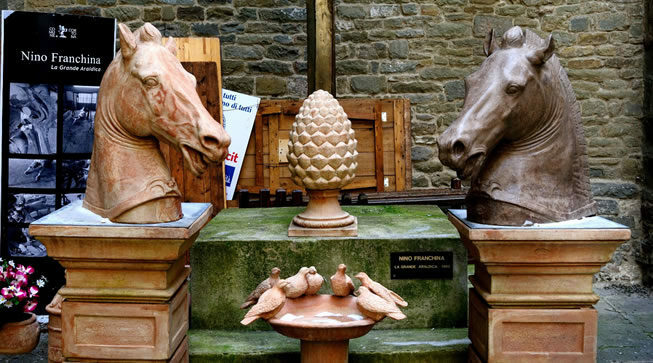 Florence, capital of Tuscany, in the Middle Ages was an important cultural, commercial, economic and financial centre. He has served as the capital of the Grand Duchy of Tuscany from 1569 to 1859, with the government of the Medici and Lorena families. It was the capital of Italy from 1865 to 1871, after the unification of Italy (1861). Important university and UNESCO World Heritage Site, is considered the birthplace of the Renaissance and is universally recognized as one of the best artistic and architectural town, and renowned as one of the most beautiful cities in the world, thanks to its numerous monuments uch as the Duomo, Santa Croce, the Uffizi Gallery, Ponte Vecchio, Piazza della Signoria and Palazzo Pitti. Rome, capital of Italy, owes its popularity to the history of the Roman empire’s capital and seat of the papacy, as well as the heart of Catholic Christianity. Rome is the city with more churches in the world, and St. Peter’s, located inside the Vatican City, is the most famous of all. The Colosseum is the largest Roman monument and is located in the center of the city. 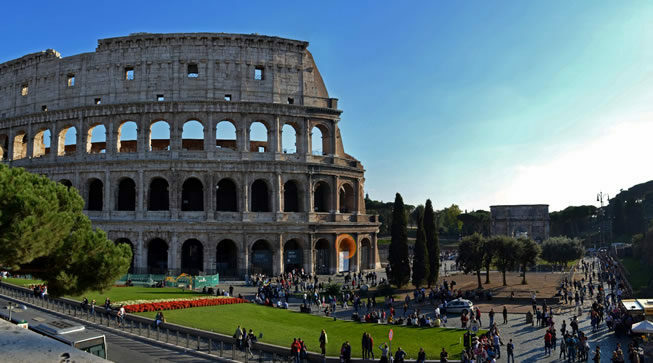 Castel Sant’Angelo, Piazza di Spagna, Piazza Navona, the Trevi Fountain, the Roman Forum, the Pantheon, the Baths of Caracalla are still some of the possible examples of tourism excellence that can be admired. A natural spectacle built by man. 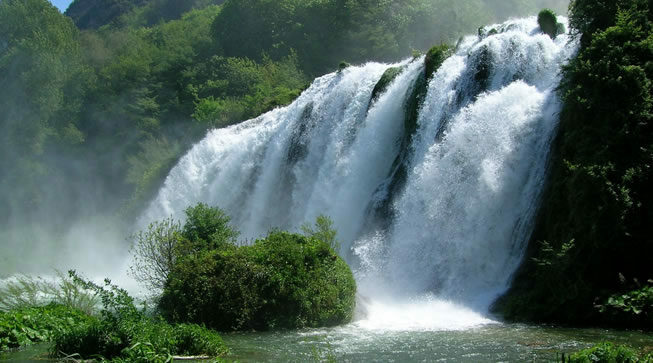 It has been, in fact, the Roman consul Curio Dentato, in 271 BC, to design this ingenious hydraulic system, which would allow him to join the waters of the river Nera to those of the river Velino. Among the highest in Europe can count on a total drop of 165 meters, in addition to the natural spectacle offers the chance to discover wide hiking area, formed by a natural park and 5 trails of varying length and difficulty. 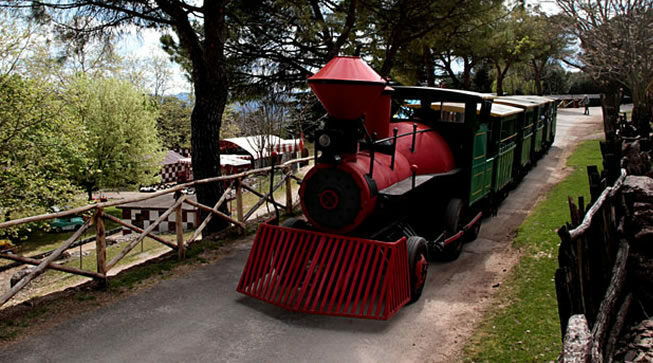 City of Sunday is the first amusement park in Italy. It was designed and created in the late 50s by Mario Spagnoli, Perugia entrepreneur, son of Luisa Spagnoli. An amusement wildlife park among the nature, located on the outskirts of Perugia, which stretches over 45 hectares. Even the forest of the City of Sunday can be visited on foot or by train. For children there are in fact many animations, games, educational activities and themed entertainment that complement a day of fun in contact with nature. 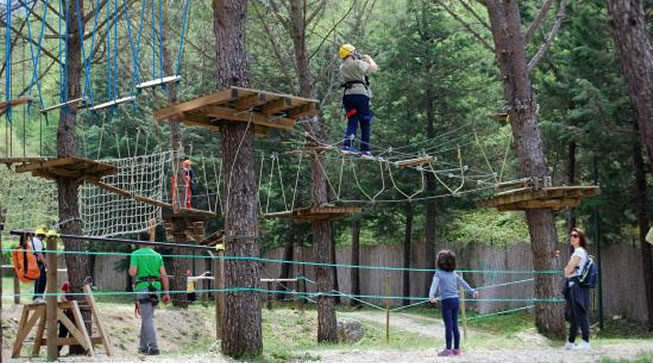 Another outdoor activities park , is the Activo Scheggino one, open from late March to early November in the beautiful scenery of the Nera Valley, it is aimed at young nature lovers and outdoor sports. Sports and recreational activities are divided into three different areas: Junior Forest, Village Active and Nature Area. 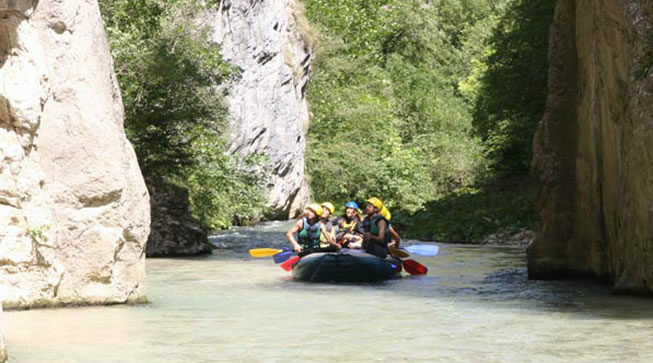 At Serravalle di Norcia, Umbria Rafting also offers the opportunity to make the experience of rafting, or a path in the quiet and charming canoe. Children can also swim and try the now rare experience to drink water from a spring that flows from the rock.